[Indications and Clinical use]: For candidiasis, cryptococcosis and coccidioidomycosis. 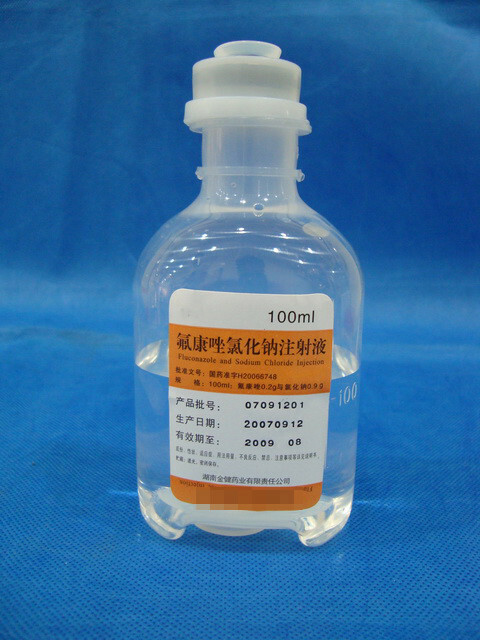 Property: The product is colorless and pellucid liquid. This product is a new member of triazole anti-fungal agents, it can restrain the sterol combination of fungal efficiently. 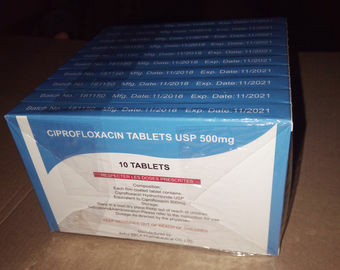 When the drug is injected, it takes effect on various animal fungal infections such as candidiasis infection and new type of cryptococcosis infection. The plasma protein binding rate of Fluconazole was only 11-12%. T1/2 is long, about 35.4 hours. 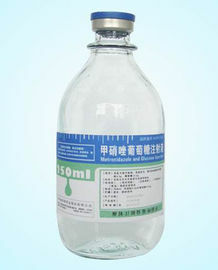 The drug can permeate the body fluid very well. Its concentrations in the saliva, sputum and peritoneum are same with that in the plasma. Its concentration in the cerebral spinal fluid is 80% of the concentration in the plasma. 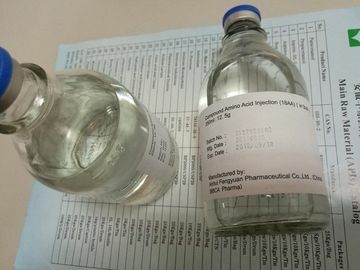 Within 96 hours that patient is infused, the amount of Fluconazole excreted unchanged in the urine is 80%. Cryptococcosis, including cryptococcosis meningitis and infections of other parts (e. G. Pulmonary, cutaneous), normal hosts and patient with AIDS, organ transplants or other cause of immunosuppression may be treated. Systemic candidiasis, patients with malignancy in intensive units, receiving cytotoxic or immunosuppressive therapy, or with other factors predisposing to candidal infection may be treated. By drip phleboclysis, the rate of fluid administration should not exceed 5mg/min. 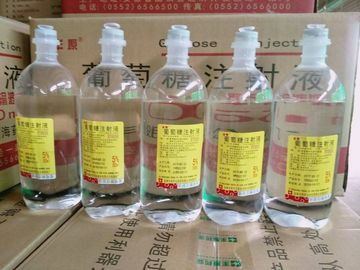 Because Fluconazole injection is the diluted chloride sodium solution, the rate of fluid administration should be taken into consideration when used for the patients who is limited in the chloride or solution. 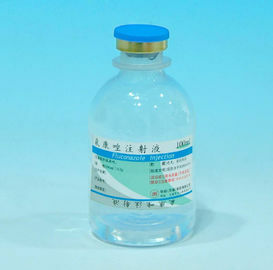 The treatment of crytococcosis meningitis and other parts infection (such as lung, skin): Usually, the first dosage is 400 mg, the dosages in the following days are 200-400 mg. The course of treatment depends on fungal feedback. But for the cryptococcosis meningitis, the period of treatment of that is 6-8 weeks at least. General side effects: muzzy, headache, stomachache, spew and etc. Glutamate pyruvatetransaminase ALT goes high slightly, haematoblast reduced. 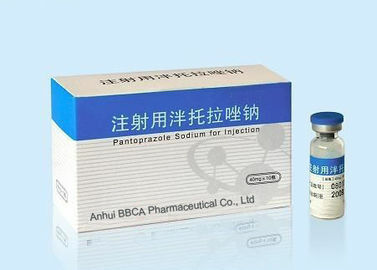 The patients who have hypersusceptibility for Fluconazole and other triazole drug are forbidden to use this product. Pregnant women, suckle women and children are not appropriate to use this product. Patients who have tetter after taking the drug should be controlled strictly. If the patients have the speckle, he should be stopped using drug. 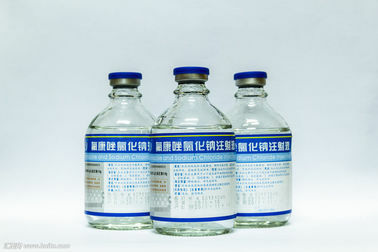 For the patients who have to be given Fluconazole more than two weeks or who have accept the treatment of Fluconazole with more than general dose, or other medicines which have potential toxic for the liver and maybe cause hepatic necrosis, they must be examined by heptic function before the treatment. During the course of treatment, heptic function should be re-examined every two weeks. 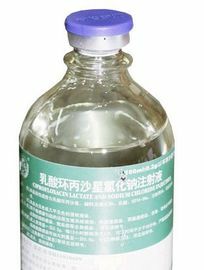 Interaction: When used with cumoric anhydride, pay attention to adjust the dose of the anti-congelation; When used with sulfanilamides and carbamide, pay attention to hypoglycemia reaction. Storage: Avoid sunshine, store in cool and dry place.